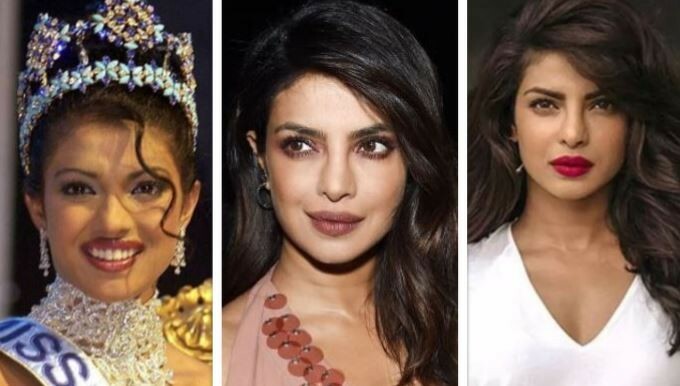 From Deepika Padukone, Kajol, Priyanka Chopra to Shilpa Shetty; there are many actresses who have allegedly undergone skin lightening treatment. Let's take a look at actresses who turned 'fair' almost overnight. From Deepika Padukone, Kajol, Priyanka Chopra to Shilpa Shetty; there are many actresses who have alleged to have undergone skin lightening treatment. Let's take a look at actresses who turned 'fair' almost overnight. Kajol: In several interviews, Kajol herself has spoken about how during her initial days in the industry she didn't have a make-up or styling sense and used to follow the people assigned for it. She has also said that with time she realised that she needed to focus on her well-being too and thus learnt about make-up and dressing up. "I didn't (take care of my skin) earlier, when I first started out. I was too young at that point of time. I was working too hard. But I think as you grow older, you realise that you're changing and the world is changing. I adopted a skincare routine and still do," Kajol had said to IANS. Bipasha Basu: Another diva who turned fair with time is Bipasha Basu. If you remember her from the days of 'Jism' and 'Ajnabee' and if you look at her films now like 'Alone' and 'Creature'; you'd surely know what we are talking about. Shilpa Shetty: Shilpa Shetty's complexion too have changed with time. While in her earlier films like Aag, Baazigar; the diva looked somewhat dusky, in her latest TV assignments and yoga videos, she looks absolutely fair. Shilpa had denied having undergone any treatment and had called it just a pregnancy glow. Deepika Padukone: One of the most sought after and successful actress of the generation, Deepika Padukone, allegedly has had a change in her skintone during these few years in Bollywood. While in earlier films and her modelling days, Deepika had somewhat a honey hued complexion, but with time, it has changed to absolutely fair. Be it her honey hued complexion or fair complexion, we have always been in love with Deepika's sharp and beautiful facial features. Priyanka Chopra: Compare her pictures from the Miss World days to today, you'd notice a sharp change in her complexion. While Priyanka had made us proud with her dusky complexion and wit during the Miss World contest, we still are proud of the desi girl who has brought Indian celebrities onto a global platform.